The last few years can be described as the peak of the bankruptcy practice in Ukraine. And it is obvious due to the fact of the large number of business entities that could not stand the pressure of economic instability and went through transition in bankruptcy. According to the statistics of bankruptcy cases in the Kyiv Commercial Court for 2014-2016, the following are the general trends: some 1,000-1,200 cases remain from the previous year; per year — 1,900-2,000 new cases; year-end — 1,200-1,500 are still pending. The year 2016 was also quite intense in attempts to interpret the application of the Law On Restoring Debtor’s Solvency or Declaring It Bankrupt in the appeal to generalize judicial practice. From all such efforts we do believe it is necessary to emphasize the changes to the automatic system of selection of the court-appointed receiver and order of cognizance of claims within bankruptcy proceedings. As a matter of fact, new market bankruptcy trends for 2017 can be divided into two main areas — (1) accompaniment of the case for the benefit of the debtor, and (2) protection of the rights of the creditor. — Communication with the court-appointed receiver, the debtor, and its creditors to elect a coordinated course of action. Taking the mentioned number of cases into account, and considering the fact that bankruptcy is and will be of great interest, we believe that similar trends and mechanisms will be in demand for the next two years. Also considering the fact that despite lots of reforms and efforts from the Government, the economic situation is still rather harsh and unfriendly, these will lead to similar problems within small and medium-sized businesses that may start suffering from the same financial tension and bankruptcy risks. Ilyashev & Partners has an exceptionally strong bankruptcy standing, being referenced as a consistent practice, with geographical scope covering Ukraine and Russia. The network of offices is an advantage of the firm. The firm supports the bankruptcy procedure of Creative Group in a USD 660 million case; continued support of insolvency procedure of Sumykhimprom that is at the sanation stage. BTA Bank Kazakhstan instructed the firm to represent its interest in the bankruptcy procedures of several corporate debtors in the Russian Federation. Some other clients of the practice include Okean Shipyard, FSC More, Inter-Risk Ukraine, Mikhailovsky GOK, Port of Vitino, White Sea Oil Depot. Roman Marchenko received solid praise from peers for consistency and performance in sound cases. The sizeable team includes Andriy Konoplya, Vadym Kizlenko, Mykola Burtovyi, Lesya Samarina, Oleksandr Denysenko. Given its extensive experience in debt recovery work and strong litigation capabilities, EQUITY (called FCLEX up till June 2017) is among the brightest legal counsels on the bankruptcy market with a solid portfolio of large-scale projects. The three-partner team is a counsel in the largest bankruptcy at the moment, of enterprises, members of Azovmash Group: PJSC Azovobshemash and PJSC Azovelectrostal, with total creditors claims of around USD 1.3 billion. Another notable representation is acting for Dutch investor Okean B.V. in the bankruptcy case of the Nikolaev Shipyard Okean, where the client’s claims as a creditor amounted to USD 133 million. Other load bankruptcies are the cases of Svitlovodsk Butter and Cheese Making Integrated Plant, Bobrovitskiy Dairy Factory and Milk Canning Plant and PJSC Kherson Factory of Cardan Shafts. Oleg Malinevskiy was very active across bankruptcy projects and related proceedings of the firm’s major clients. Victor Barsuk is a key strategist preferred for practice management. Ario Law Firm is known primarily for its strong dedication to bankruptcy practice, including pre-bankruptcy proceedings, including out-of-court restructuring and commercial disputes. Recent highlights include representation of the Bila Tserkva Dairy Plant as a debtor in bankruptcy proceedings, and resolving its indebtedness before creditors, including a state bank. Another sound ongoing representation is for VTB Bank in the course of recovery of UAH 7.2 billion in loans extended to the enterprises of the Azovmash Group, which find themselves in bankruptcy proceedings. The partner team is highly esteemed for its market development efforts. Julian Khorunzhyi stands out for his practical experience and established recognition on the market. Iryna Serbin receives strong market feedback on a constant basis. She acts an insolvency official of the Public Joint Stock Company Nikolaev Shipyard Okean in the course of its bankruptcy. Oleksii Voronko is another key team member. Market insiders admire confident market positions of Alekseev, Boyarchukov & Partners. The firm is exceptionally well regarded for complex bankruptcy matters and sophisticated debt recovery litigation. Leading banks are the firm’s mainstay. The firm recently represented PJSC Ukrgasbank in the bankruptcy proceedings of the LLC FFS and LLC Palyanytsya. Another significant case involved protection of the bank’s interests in the bankruptcy procedures of the Mriya group of companies. 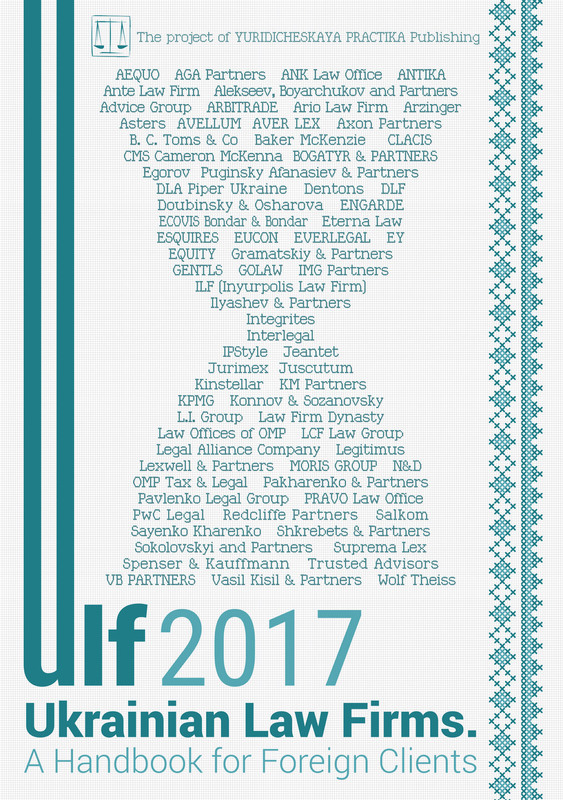 The firm’s client list takes in Ukrsotsbank, Ukrgasbank, VTB Bank, Blitz Inform, Euro Pharma, Alfa Bank, OTP Bank, GEOS, PU Kievkinofilm. Aleksandr Tkachuk is active in project work. Sergey Boyarchukov is a recognized name known for succeeding in the most complicated projects. This past year the team of L.I. Group developed its track record and extended its portfolio of banking clientele, which includes VTB Bank, VAB Bank, OTP Bank, Piraeus Bank ICB, UkrSibbank, Ukrsotsbank, Finance and Credit Bank. The group is known principally for representing banks in complicated bankruptcy cases, insolvency proceedings and credit recovery. Among the soundest projects undertaken by the firm is a case of bad debt recovery from the guarantor of PJSC Creative in favor of Piraeus Bank which came to about USD 15 million; and represented VTB Bank in the course of the bankruptcy of Rainford Dairy Plant. Both partners Mykola Kovalchuk and Artur Megerya are deeply involved in the practice. Arzinger’s well known insolvency practice enjoys a client following from the banking and finance sector. The practice team is allocated within all three of its offices in Kyiv, Lviv and Odesa. The firm currently represents a syndicate of banks in USD 300 million bankruptcy proceedings of PJSC Creative. Another resonant case of the team is ongoing representation of a manufacturer of alcoholic drinks in the recovery of its Ukrainian assets alienated in the bankruptcy procedure of the subsidiary company Belvedere Ukraine. The practice is headed by Anton Molchanov, senior associate and overseen by Markiyan Malskyy, partner. Trusted Advisors, an ambitious young domestic law firm, boasts its bankruptcy practice and showcased a growing portfolio. The firm acts predominantly on the debtors’ side, and is particularly highlighted for its support in bankruptcy related litigations and is noted for its particularly strong presence in the agricultural sector. The firm handled bankruptcy cases representing PJSC Illichivsk Oil and Fat Industrial Complex, Illichivsk Grain Company, PC Bilhorod-Dnistrovskyi Baking Products Integrated Factory, Illichivsk Grain Port and other debtors. Partners Vladislav Rieznikov and Artem Podolskiy, and counsel Dmytro Abramenko are dedicated to the bankruptcy practice. LCF Law Group has a broad litigation practice with exceptional strength in debt recovery cases, including within the framework of bankruptcy proceedings. In 2016 the firm was equally active in representing creditors and debtors. In the ongoing portfolio of the firm is representation of insolvent debtors in litigations with creditors; acting for established client Alfa-Bank in litigations with insolvent debtors. In the past year the firm launched a new multi-structural bankruptcy service for corporations and large business and state enterprises with a complex corporate structure. Anna Ogrenchuk and Artem Stoyanov are lead partners of the practice team. The practice has strong dedicated counsels. Alexander Biryukov brought his cross-border insolvency expertise; Olena Volianska is referred as a professional expert in the bankruptcy area. Sokolovskyi & Partners has a well-established practice that covers liability crisis management, restructuring and bankruptcy. The firm represents both creditors and debtors, works in judicial procedures and supports liquidation proceedings, acts on cases appealing recognition of bankruptcy. Among the complementary strengths of the firm is support from the criminal law practice, to identify signs of a crime during debt-servicing and bankruptcy procedures. The practice is headed by partner Vladyslav Filatov, known as an active bankruptcy administrator. Khomenko, Pita & Partners is a local boutique with well-established market niche. The firm’s recent focus is full scope support in bankruptcy of state enterprises. Outstanding specialist Oleksandr Khomenko is the main point of contact. The bankruptcy practice of Gramatskiy & Partners extends to pre-court sanation, property disposal, liquidation, amicable agreement. The firm is experienced in acting for lenders, borrowers, shareholders and participants, insolvency officials. The law firm gains experience in supporting judicial and extrajudicial bankruptcy procedures such as termination and challenge of bank burdens, issues of a moratorium on creditor claims. Among the landmark projects is supporting the bankruptcy procedure of the Plant Quant and bankruptcy of the Plant Keramic with subsequent amicable settlement. Andrii Trembich is the practice head. Being among the leading counsels for large cross-border restructuring work, Baker McKenzie has a bankruptcy practice and cross-border debt recovery litigation. The office is often enlisted for representing creditors in the course of bankruptcies of Ukrainian borrowers. The practice is part of the dispute resolution practice group headed by partner Ihor Siusel. The Kyiv office of Dentons is known mostly for large-scale restructuring mandates, distressed debt and assets transactions, and also handles representation in insolvency proceedings. The firm has a solid and diversified client base, and often represents lenders in the course of large-scale corporate bankruptcies. The office continues advising CRI Group Limited on complex regulatory and banking and finance matters in connection with the debt and corporate restructuring of Mriya Agro Holding, and its announced bankruptcy. The lead partner is Natalia Selyakova, the head of banking and finance. AEQUO’s bankruptcy and restructuring team advises clients facing financial difficulties and their directors on insolvency. The firm’s recent highlights include representing the interests of the Latvian financial institution in bankruptcy proceedings against the debtor Upstar Continental in Ukraine. Ongoing work includes representing several debtors in bankruptcy proceedings, Ukrainian operator and producer of the bulk payments systems, and a Ukrainian retailer. Counsel Pavlo Byelousov and senior associate Yevgen Levitskyi are the main practitioners of the practice. Yulia Kyrpa, partner, is head of restructuring and insolvency. Full-service firm Vasil Kisil & Partners is known for its proficient litigation practice and for handling bankruptcy matters. The team’s pending projects take in representing an international shipping company in the insolvency case of Black Sea Shipping Company (BLASCO), the largest state-owned shipping company, and legal advice on liquidation of a Ukrainian subsidiary of an international pharmaceutical company through the simplified bankruptcy procedure, handling the bankruptcy case. Oleg Kachmar, counsel, is in charge of the practice. NOBILI is a local boutique with its principal specialization in bankruptcy. In the outgoing year the firm supported the bankruptcy case of ALIMPEKS-MERTINGER LLC initiated due to the inability to discharge debt owed to PJSC Ukrsotsbank. Managing partner Natalya Tyschenko is an experienced practitioner and often acts as arbitration manager. The peer review identified the names of Mykola Struts, IMG Partners, and Vitaliy Tytych, Vitaliy Tytych & Partners as vivid practitioners in the field of bankruptcy.